Hardware to help protect your tire cover from theft. Strong and durable coated cable combined with quality corrosion free Masterlock will protect your spare tire cover from thieves. These security items can be purchased individually or added directly to your tire cover order when picking out your desired design. Grommets must be installed to have the cable and lock system work. We use the best Grommets on the market. These are designed to withstand all elements of weather. Self-piercing rolled rim with spur washers are designed to hold tight. You can purchase these grommets only when you purchase a tire cover. We just wanted to showcase them here so you can view them up close and personal. 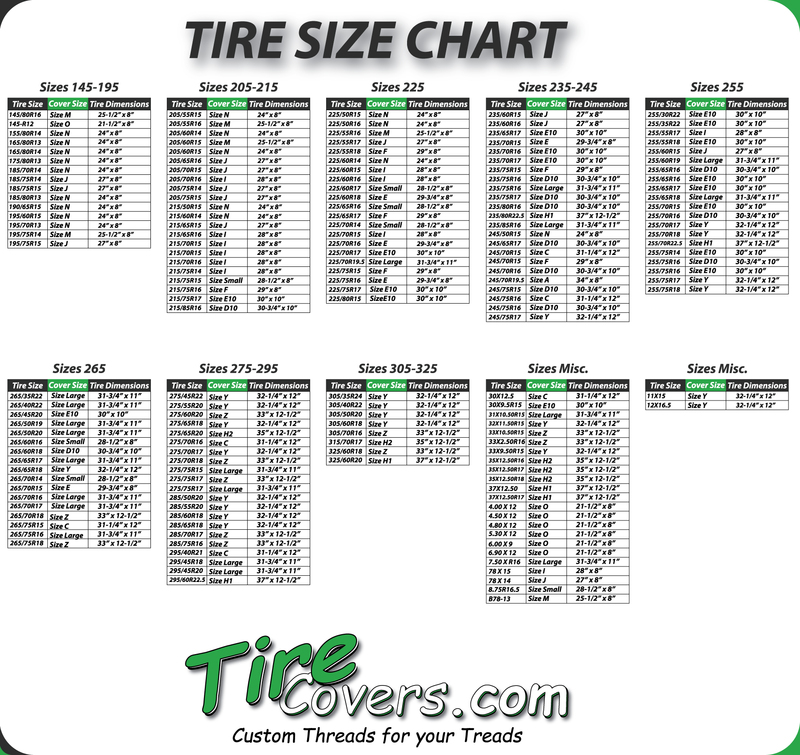 It says Out of Stock but we have loads of these so feel free to add them to your purchase when checking out with your favorite tire cover.